Every once in a while I like a design so much it warrants an immediate redo. These cookie jar cookies are new take on last week’s candy jars. My cookie jar cookies are actually “Frankencookies”. I made them by adding a small round “knob” to a trimmed mason jar cookie. Simply piece, bake, and decorate as desired. I didn’t take step by step photos this time but you can read the steps below. Prepare red and white piping icing along with red, soft blue, light brown, and dark brown flood icing. Use red piping icing and a large round tip to create a knob then outline the lid. Flood. Give the red a while to set then outline the jar with white icing. Flood the jar with light blue icing making sure to leave a few empty circles for cookies. Quickly fill the empty circles with light brown icing to create cookies and add “chocolate chips” while the icing is still wet. Once the base is dry, add more cookies to the top. Finish up by piping details on the lid and jar. While we’re on the subject I thought it would be a good time to share how I pieced together my milk and cookies cookies. Say that three times fast. I simply combined a milk bottle with a simple round and baked. Easy breezy right? I would like to point out that I also used a moon cutter to trim the milk bottles. They’re a little big for my taste but with a little trimming they’re perfect. Now all you need is some milk to go with your milk and cookies. Have a great week cookie friends! love! love, love, love, love love!!!!! So adorable! 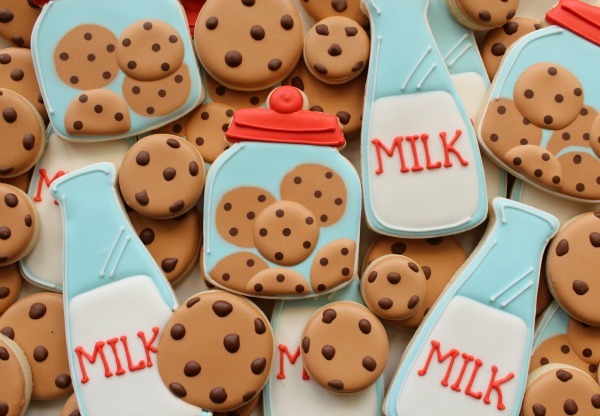 Milk and cookies – can never go wrong with a combination like that. Will probably eat these with milk, too. Seriously genius to cut the jar with a moon cutter! 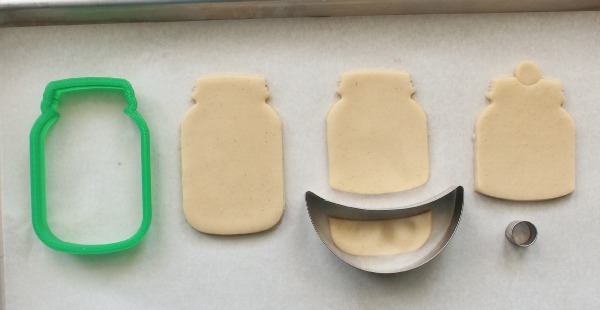 And to use a baseball bat cutter for a milk bottle, BRILLIANT! You inspire me every single day!! THANK YOU!! I have a plan for these jars. I can’t wait!! In love with these! I actually visited your page this morning because I wanted to figure out how to make the candy jars from your previous post, and ta-dah! There was this post showing me how to make them! 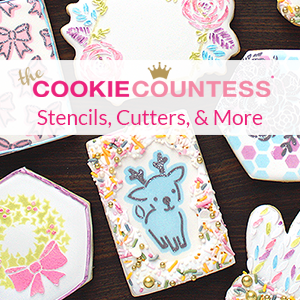 I love serendipitous posts 🙂 I need to get myself some new cookie cutters to make these! Thanks again for sharing your amazing work and sharing your ideas. Ahh! These are beyond adorable!! 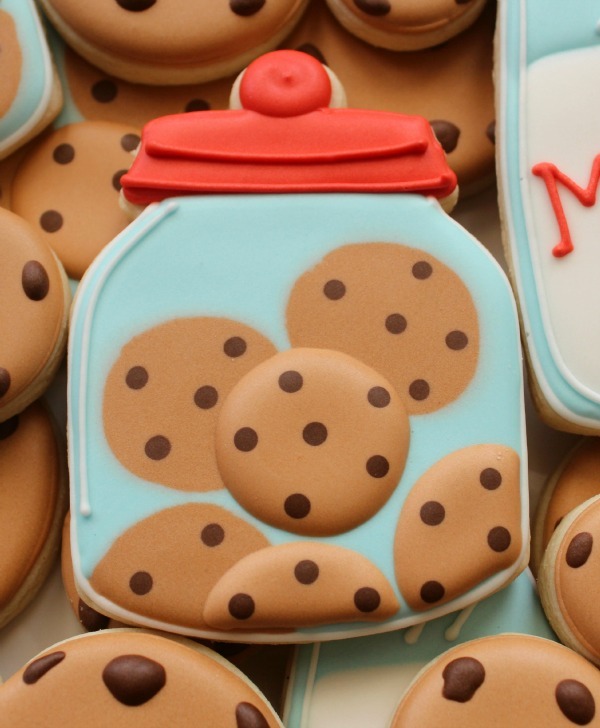 I love the jars with the cut-out cookie in front. What a creative idea! 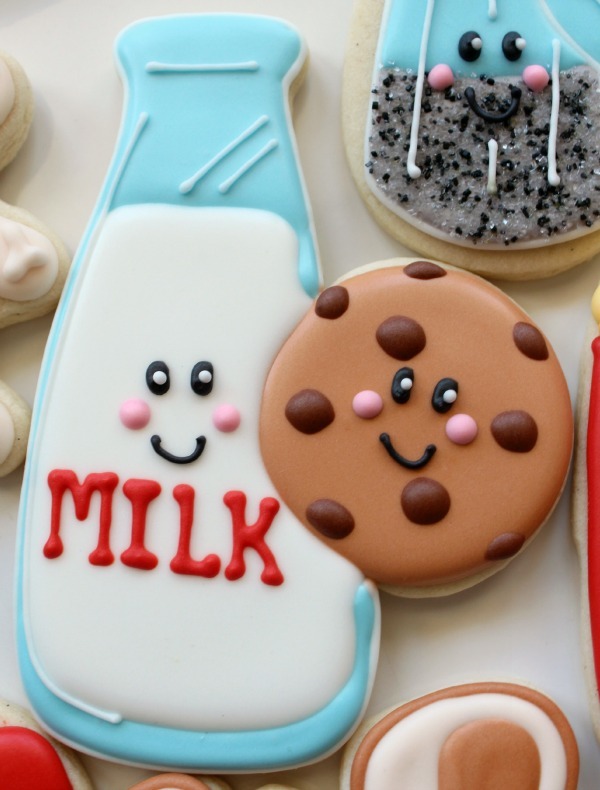 Now who WOULDN’T love a milk-‘n’-cookies cookie?! ; ) Super cute! SO cute! You are always an inspiration! Is that a pepper shaker in the 4th picture!?!?! Every time you make cookies, I say they are my new favorite. But these ones are REALLY my new favorites. I mean it this time!! I have to agree with Kristan and say that these are my favorite! I was going to write that even before seeing here comment, so there. 😉 haha! Just adorbs. 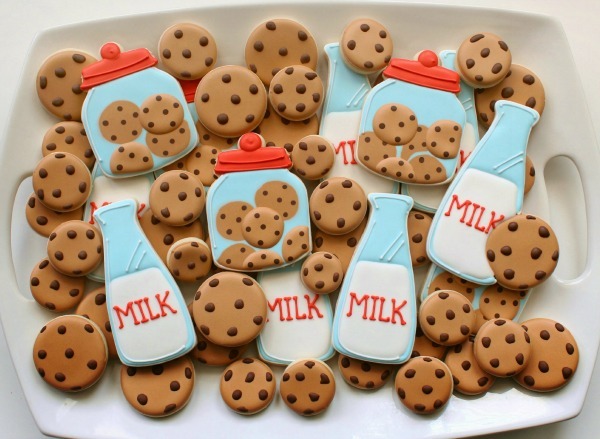 I am always amazed at how adorable and beautiful your cookies are. They are too cute to eat!!! OMG………….. I saw the cookies, I pinned the cookies. 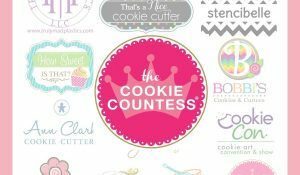 I thought about the cookies all day and I am just coming to really look at them, and they are even better than I thought and soooooo much simpler than I had pictured in my head!!! Now I want to make more cookies, even though I am not half way through the stupid, stupid, terrible, horrible, no good, very bad cookies I am working on! Awesome idea and great tutorial! These are just too adorable!! These are absolutely adorable! I just love these….I could never make them look as perfect as these but would love to try! 🙂 Thanks for sharing….love all of your cookies! These could not possibly get any cuter!! 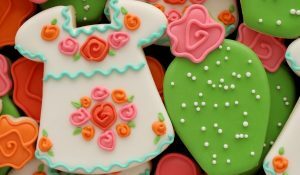 I am smitten with these cookies! They could NOT be any cuter!!! You are such a talented lady!!!! 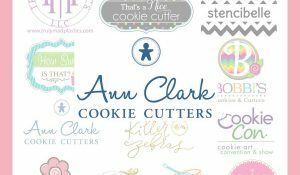 I look at every post on your blog—and may I just say that you ALWAYS amaze me!!! Thank you so much for continuing to delight all of us with your creations! Well done! 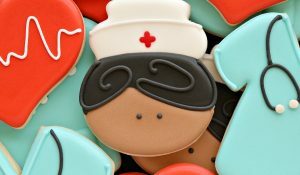 What clever, cute and creative cookies!! So cute, Callye! Love the dimension you created by adding more cookies to the top of the dried icing! Please tell me how you made that pretty blue! Thank you. Eva, I like to mix a tiny bit of royal blue into sky blue. Oh, perfect! I’m loving the fabulous dimension of this new technique! These make me SO happy !! How cute!!! 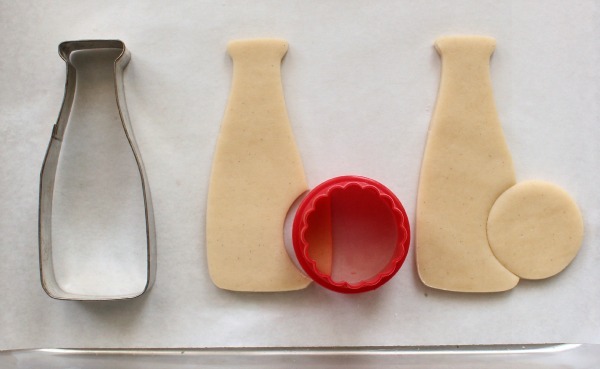 Love these – especially the milk bottles!!! dying over these cuties!! love the color palette, the whole idea. Very clever my friend. Your cookies are always the best! So cute!! Seriously Callye!! These are ridiculously cute! Love, love, love!